Vermouth is an essential part of every bar. You’d hardly see any bars without at least a bottle of vermouth in stock, and it is also a main ingredient of iconic cocktails like the Negroni, Manhattan, and the Martini. With the rising popularity of low ABV cocktails worldwide recently, vermouth has come back to the fore as not only a complement to cocktails, but as a base spirit in its own right. 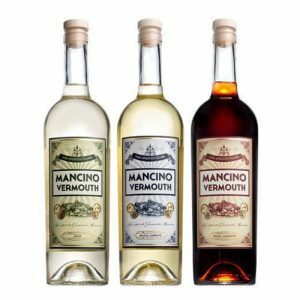 At Wholly Spirits, we recognise that vermouth is an essential part of cocktail culture, and are proud to include in our portfolio some of the world’s best brands in the category, including Mancino Vermouth, Dolin, La Quintinye and Eiling Lim. Vermouth is essentially an aromatised, fortified wine flavoured with botanicals. It starts off as a still wine, either white or red, usually made with local grapes from Italy.It is then fortified by adding a neutral spirit, usually made with a related product like a local brandy. 2) What does the name vermouth mean? ‘‘Vermouth’ is the French pronunciation of the German word ‘Wermut’ for wormwood, an essential ingredient in vermouth that gives it a slight bitter note. Most vermouths, even the sweet ones, will have a tinge of wormwood in the flavour. Vermouth was first produced as a medicinal product, used to treat stomach disorders and intestinal parasites. The man credited with inventing the modern vermouth however, is Italian merchant Antonio Benedetto Carpano, who created the first sweet vermouth in 1786. 4) How many types of vermouth are there? There are usually three main styles of vermouth, determined by its level of sweetness. There’s Rosso (sweet), Bianco (semi-sweet, and Dry, which is the least sweet of the three. 5) How do you store vermouth? Once opened, you should keep the bottle in the refrigerator to prolong its shelf life. If you keep it on the shelf in room temperature, it can probably only last about 4-5 days, after which the flavour of the vermouth will go flat and most of the aromatics will be lost. In the fridge, it will be able to last for a week or two, or even longer. 6) What is the difference between vermouth and other fortified wines like Port and Sherry? Other than the use of wormwood, the main difference between vermouth and other fortified wines like Port and Sherry is that vermouth is usually drunk as a pre-meal aperetif to get the appetite going, while port and sherries are sweeter and usually consumed as after-dinner digestifs. Vermouth is also commonly served with a fizzy mixer such as soda water, tonic water, and ginger ale. Examples include the The Spritz, which is commonly served as an aperitif throughout Italy, country, and the Americano, the forefather of the negroni, made with equal parts gin, Campari and vermouth. Inspired by renowned Italian bartender Giancarlo Mancino, this is an exceptional artisanal Vermouth di Torino blended with the finest ingredients to create an original, yet classic vermouth that is perfect as a main or supporting ingredient in any cocktail, modern or classic. 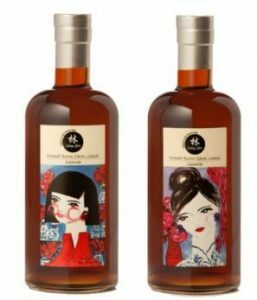 Malaysia’s first independent whisky and spirits bottler, Eiling has also bottled two private casks of Spanish vermouth from the Bodegas of Martinez Lacuesta, with labels designed by Lianne Kocks, a Malaysian artist living in Germany. 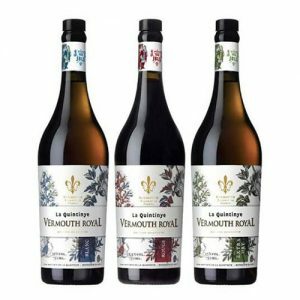 This range of complex French artisanal vermouth complex is made with 18 to 28 aromatics and a blend of white wines fortified with Pineau des Charentes, a fortified “wine” that is a mix of unfermented grape juice with cognac aged in oak barrels. 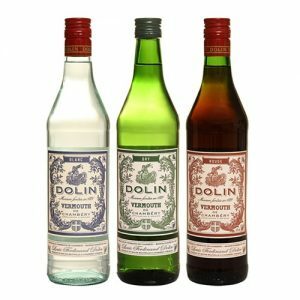 With a history dating back to 1915, Dolin is the last remaining independent company still producing Vermouth de Chambéry, a vermouth that can only be produced within France’s Savoy region, and using the maceration of real plants rather than pre-prepared infusions. We are an independent importer, distributor and wholesaler of fine premium spirits and related products. dedicated to giving you an elevated drinking experience, while redefining what a spirit is for you. Wholly Spirits™ logo is a trademark of Wholly Spirits Sdn Bhd. Copyright © 2015-2019 Wholly Spirits Sdn Bhd. Designed by Benjmarc. Sitemap.